Last year, I was a running maniac. I was running three times a week, averaging around 20 miles. That’s not a lot for some people, but for me it was. Some of my runs were amazing, but some were straight up awful. The coolest thing I did? I ran my first half marathon. If you would have asked me ten years ago if I’d ever run more than a mile, I’d laugh in your face. I injured myself on mile ten at the half marathon. I did complete it, even though my legs were hardly functioning. My runner’s knee decided to come back in both knees, and I did something awful to my groin. I was straight up miserable for about a week after. I traded in my running shoes for training ones and started to spend more time at the gym focusing on strength training. I went just about every day to strengthen my muscles, but then I got burned out, and took about two months off of everything. The only thing I did was walk my dogs three times a day, hiking, yoga, and stretching. To be honest, I’ve never felt better. Why start again if I'm feeling better? It’s not just running I want to get back into. I started running years ago for my mental health and fun. When I started training, it became a chore, and it gave me anxiety. I kept forcing myself to do it when I didn’t want to because of the “race.” That’s when it became not-so-fun. Six miles is my comfort zone and anything other that starts to break me down. I want to get back into running for the fun of it. I want to challenge myself and enjoy it again. No, I won’t be training for any half marathons. Maybe I’ll do a couple of 5ks here and there, but I just want to run for the fun of it again. I miss my little 3-5 milers. Can I run three miles right now? Yes, but it’s not as easy as it used to be. I love heading out to the trails when I’m traveling to run at a light pace for a couple of miles, and it makes my days a little better. Most importantly, I like having the choice of running or not running. Luckily, they haven’t bothered me at all. I took enough time stretching, icing, strengthening and babying my body for a while, so I’ve been cleared to get out there again, but slowly. Yoga and stretching have been beneficial with strengthing my IT band. I look forward to doing yoga regularly and furthering my practice. Yoga for newbie advice is welcome! What will I do differently this time?? Better post-run routines. Instead of just jumping into my car after a run, I’m going to walk it off, stretch more, chug more water, and ice! I also plan on starting slow. I love to do running drills to get me into shape at the track, so I’ll most likely start there with two minutes on and two minutes off. I’m going to treat myself as if I’ve never run a mile before and start from the basics. I am going to get fitted for new shoes, and do everything like a newbie! I’m ready to re-write this running relationship. Whats your game plan for the next three weeks? It’s so cold right now, so treadmill running is about all I can handle. Luckily, it’s going to be warm next week, and I’ll be able to do some drills outside. This month’s goal is not about distance or speed. It’s about time. I always focus on running for more minutes rather than my pace/distance. That’ll come naturally. I Iove doing the five minutes on and five minutes off drills. For the next three of weeks, I’ll be running 5 minutes/walk five minutes for 45 minutes a day, four days a week. After I complete these three weeks of drills, I’ll create my running schedule for spring. It’ll be a flexible schedule, and if I don’t feel like running that day, I’ll just walk! I love to walk too. I don’t want any expectations, or let downs with running. It’s supposed to be fun, that’s why I started doing it in the first place. I can’t wait to get back out there for the fun of it. Have you ever taken a hiatus from something you love because it started to become a chore? Have you thought about running again? Would you like to see updates on my running progress? Hey Taralynn! 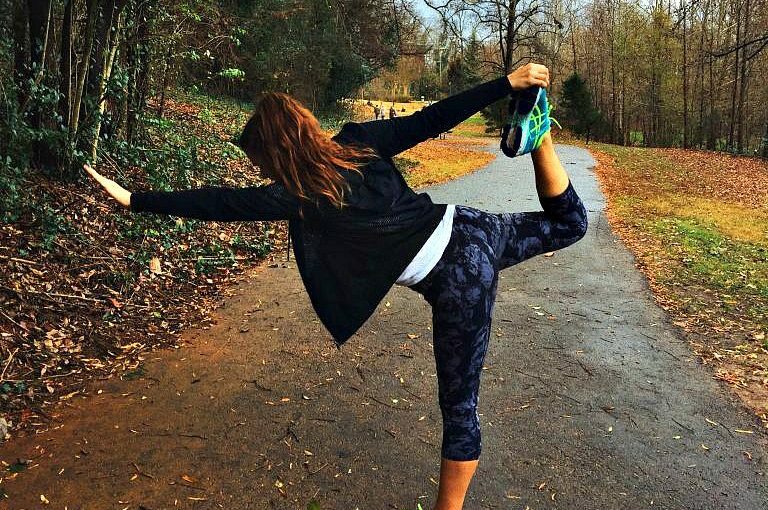 I’m going through the same thing with running except my pain hasn’t gotten any better (started almost a year ago) — would you be willing to share some of the strength exercises and stretches you used to heal? Hi TaraLynn, I’m not sure if this question is too personal, and if so you don’t need to answer. But I had to quit running because I devolped HA and an obsessive relationship with it. I finally decided to quit about 5 months ago, instantly healed from HA after 3 months of only walking. Now, I am absolutely ITCHING to get back into the sport … but in a healthier way of course. Did you have experience HA from over exercising/running? I’ve had the same experience with running! I LOVE running, but I honestly just got super burned out when it started to feel like a chore. AND I was terrible about caring for my body. I never stretched afterwards, and never iced. So my hips and knees and back all suffered. I pretty much took the entire summer off AND skipped out on my favorite half marathon of the year because I just wasn’t ready to come back to it. Now I crave it again! AND I make sure to stretch after every run. The icing… Well I’m working on that haha. So happy to hear that you’re going to be running again too! I guess distance does make the heart grow fonder sometimes :). Sounds like me for sure. The “training” made me burn out. I love the casual running. Totally hear you! I got really into running in 2016 and did a ton of long races and by the time I got to my last scheduled half marathon, I was DONE. It’s been 4 months and I’ve only run and handful of times. I beat the joy out of it. I’ll get back into it when it warms up, but I have no desire to get into racing again anytime soon. Would love to read about your progress, and your mindset of doing it for fun is wonderful. It shouldn’t be work and drudgery. Congrats on all your races though! 🙂 I’ll definitely be updating my journey back into running. 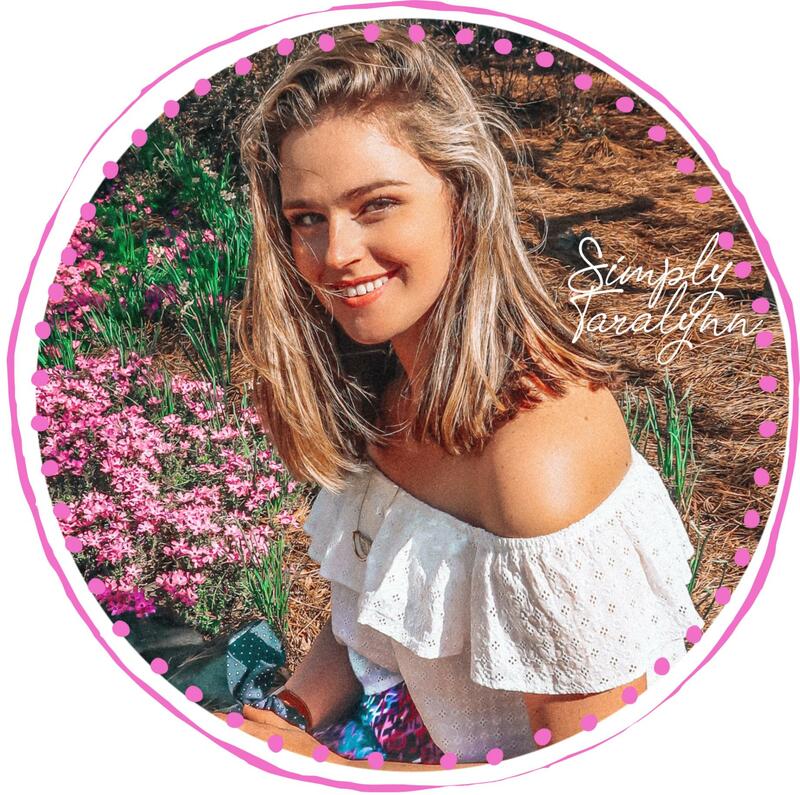 I would LOVE to see running updates from you! I used to be an avid runner but somewhere down the line, I stopped running. I am too thinking about starting to run again. I used to love it and I miss that connection I maintained with myself while running. What kind of yoga do you do, and how often? Do you take a class or do it at home? I’m really looking to get into it and would love your perspective! I’m right there with you! Half marathon training is hard because it ends up taking so much time, especially towards the end of the training. I got injured during my last half and haven’t run much since. I miss those 3-5 milers! Yay girl! Glad to hear you are getting back into running again – and it is because you want to do it! Looking forward to your updates on your running progress and hope it brings you more joy into all aspects of your health/life! But I completely agree running is mental health workout for me as well! So glad to hear you’re ready to get back in to it. I think whenever something becomes stale or becomes an unwanted chore it’s time for a break. The same thing happened with me because I was pushing myself too hard and doing too many HIIT workouts. Once I stepped back, tried some different types of workouts for a while my body and mind were rested and ready to add HIIT back in to the mix. I’d love to hear more about your running as you move forward! Hope you had a lovely weekend! 1. I had the same issue training for all of my half marathons. For some reason though I always want to do more even though I start to dread running closer to the race. 2. All the time 🙂 I’m a fair weather fan though. I’m from Wisconsin and this cold weather is crazy to run in. I’d rather go snow shoeing or snowshoe running (for fun)! It’s so great that you’re writing about this! Thanks for being so real as always and sharing your struggles 🙂 I’ve had the same kinda issues with running and am recently getting back into it after some time off. Keeping things enjoyable and injury free this time! You are so inspirational! I have had a very similar relationship with running. It went from being fun to being a dreaded chore. I am still easing my way back into things. I usually run with my mom and we run 3 minutes walk 2 minutes about 2 times a week and sometimes we just head to the gym and skip the run! …or we just go get coffee and bagels… balance!! Thanks for being so awesome, honest, and motivational!! I definitely went through something similar when training for my first half. When running becomes more about “I have to hit this mile total” then it stops being as fun. At the end of my marathon training, I just wanted it to be race day so I could stop getting up early for long runs and stop stressing over fitting my miles in. I feel the same way you do regarding running and anxiety. When I don’t run (or can’t, like now with the miserable cold), I become a miserable person. I’m not motivated, my depression acts up, and I’m anxious all the time. Once I can get outside for a run, I’m all good again. I’m in the same boat you are right now! I worked myself until I hated running and was forced to stop because of injury. I just felt guilty if I didn’t go run. I don’t want to be back in that place. I want to enjoy it again! I’m just now starting back after not running since June and surgery, so it’s going to be a long road back to running any amount of miles. But, I want to do it because I enjoy it, not because I feel like I have to, or that I have to train for a race. Right now is all about loving it again. Good luck to you and I definitely want to see running updates! 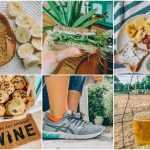 The timing of your post is so interesting, because I’m also currently trying to get back into running after taking time off following my last half marathon over the summer. I stumbled across my strategy while reading other people’s New Year’s Resolutions online and have loved it so far. For the entire month of January, my goal is to run at least one mile per day. Some days I run two or three, but I’m also giving myself permission to run one and walk or strength train after. I can already feel my endurance building, but love that I don’t feel the anxiety of a rigorous training schedule and also don’t feel like running is taking over my entire workout schedule. Good luck with your new training schedule – I’m excited to read about your progress! I used to do Triathlon years ago, but got injured from the running and so for the last 3 years I’ve concentrated on swimming and in 2016 I completed an 11 mile one way Windermere Lake Swim in Cumbria, England in the Lake District. After that I lost the lust and took a long break which on and off spanned across all of 2017. I’m back swimming now and have entered a few 10km swims for the Summer! I believe exercise can be an addiction, just like any other ‘feel good’ drug. It’s important to keep it in moderation. I’ve seen lots of runners with a very warped sense of what is ‘normal’ and they frequently run through injury after injury after injury. I certainly wanna see the updates. You have so got this!! please do updates on your progress! Or the odd post. One of my resolutions for this year is to get my running back on track, I took hiatus for 2 months after my half marathon as long runs (9 – 10 miles) would seriously affect my endo, it’s been under control so far so I have been doing drills, or running lampshades and I am enjoying my runs more. I felt exactly the same way about recently stopping running because it was more of a “have” to, rather than a “want” to! My boyfriend (*cough* excuse me, *fiance’* ♥), and I are planning to run a half marathon this year, and I can see a lot of the things you talked about happening while training! I am SO torn… I want to accomplish this, and doing it with someone I love will make it that much more rewarding, I think, but I’m a little scared! I would definitely love to keep reading updates about how you and running are getting along! It definitely helps to know someone else is working on the same things you are and gives me someone to relate to! Ironically I took a break from yoga right after I completed my yoga teacher training. I was so drained from it! I did other stuff (cycling, strength training, barre) for a couple months and when I got back to my mat it was like…. returning to a lover! I think it’s great that you’re getting back into running without the burden of an “expectation”, but simply to find joy! As far as yoga, I would say that going to classes is really important as you get the basics down. An instructor can help correct form and give really helpful tips for habits you may have. However, once you get the hang of it, a great way to save money and not be a slave to a studio schedule is to use an online service like yoga glo. I have it for my husband and I and it’s basically the Netflix of yoga! He can get beginner classes and I can take advanced classes all on the same platform. Plus they offer programs which are a complement to other types of training, so following a “runners” program a few days a week sounds like it’d be a a good fit. Anyways, love your blog and I’m excited for the sharing you’ll be doing in 2018! I love this! I feel this way every time I sign up for another long distance run. Running becomes a chore and I get burnt out. So yes, after every half-marathon that I have run, I have taken some time off. I’m just starting to run again after my last half (and this time training for a marathon — I’m hoping to “train slowly” so I don’t get as burnt out.) And I just got fitted for shoes and absolutely loved the process! It was definitely a game changer to learn how my body runs naturally. I would love to see updates about your running progress. Running changed my life and I know that it has and will continue to change SO many other lives. One tip I got while getting my gait analysis done – you should stretch for half the time you spend running. So, since you are planning on walk/running for 45 minutes, you should spend roughly 25 minutes stretching after. Who knew? Hope that helps and I look forward to seeing your progress! I’ve just recently started running. I did the race in downtown Detroit on thanksgiving day before the parade 2017. I’ve followed your blog since the undressed skeleton days and have always found inspiration from your articles. As you go back to basics, what speed on the treadmill do you run at? Good luck! I remember how much you would talk about running before. Even though I don’t enjoy running, I could see how much you did! I hope you find your way back to a place where you can comfortable love running again! I felt burnt out after my last half as well. I’m also trying to start running again but I feel like I’m back at square one! I related 100% with everything though. Those 3-5 mike runs are so relaxing! I wish it wasn’t so cold here! I’ve been wanting to start running. I loved it when I was younger and we have a trail by our house! Thank you for sharing your journey. I’m going to start again! I would love to see your running progress. You always inspire me to be more active and I think you being a “newbie” runner again will help me finally get out there and try it myself. I would also love to see updates on your yoga journey. I’ve been doing yoga here and there from online videos (Yoga With Adriene is awesome) but I am trying to become more dedicated to it this year. – Oh, absolutely. I got back into running about 4 months after I took the short hiatus. However, I have kept it short distances (3-4 miles) instead of focusing on long runs. I enjoy that way more, because 5Ks are easy to train for with my work schedule. I’d love to see updates on your progress! I have run one Ragnar Trail run 15.8 miles and a few 5 & 10ks but my ultimate goal is a half marathon. I haven’t been running either because I get the worst shin splints but I’m working on strength training and making time for walking and hydrating. I know what you mean about things becoming a chore, I love to bake but fell out of it for a while because I always felt like coworkers and friends just expected it all the time. But now after the holidays I’m kinda back it, and enjoying the kitchen again. It probably helps that I got a new toy (an air fryer) so I can’t wait to try some new things in it! 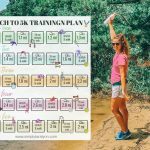 I would love to see updates on your running programs! I’m glad that you found the love for it again, I often know that when we make our hobbies are job, we no longer have the same passion for it. I went through a Hiatus with exercise actually a while ago, and I listed it under a post on my blog called what happened when I didn’t exercise for 10 days. Check it out! It was a good mental and physical Refresher. I’ve been there so many times, I’ve lost count! Drawing for one, running and yoga for the other. Especially when following training plans or if I fall into the comparison trap I tend to lose interest or the desire to continue on and it all becomes forced. It’s always a bit sad when something one loves turns into something that feels like a chore. I love that you’re going at it again though – that inspires me, and I’m sure many of your other readers as well! I’ve definitely thought about running again and have made a gazillion excuses why not to – a legit one though is that we have a wind chill advisory almost every day right now so that makes it difficult. I’d love to see updates on your progress! Aren’t you ever scared running alone on tracks you don’t know? Just got cleared to start working out again, but slowly, so I’m working with the elliptical and circuit training. I’m going back to the basics too using the tools that first helped me when I went on my weight loss journey. But it’s been a couple of weeks and I already feel better overall! Good luck on reclaiming the love of running! Also, just be careful on treadmills and if you can find an indoor track instead, that’d be ideal. My physical therapist was telling me how most treadmills have steel plates and can do more harm than good on bad knees. Thought I’d share! Good luck! Before you get fitted for new running shoes, I would recommend seeing a podiatrist. A lot of running injuries come from problems with feet and stride – podiatrists can give you ideas for stretches and also provide custom made orthotics to keep you from getting injured! I kept on running and getting injured, and I also never saw as much improvement in my running as I expected – seeing a podiatrist for a gait analysis was one of the best things I did for my physical health in the last year! Christmas Celebrations & New Year's Eve Fun! An Abundance of Eats, Fitness, & Life.